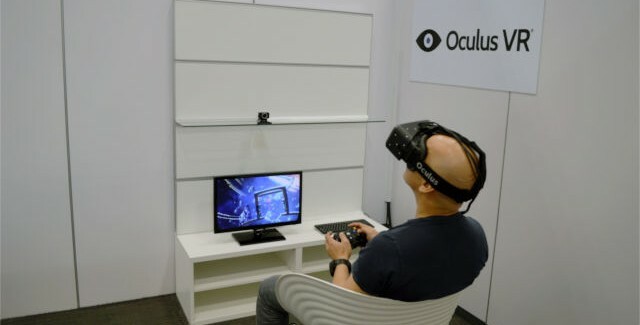 Oculus VR, the company behind the highly-anticipated Virtual Reality headset, the Oculus Rift announced that it will be opening a new Research and Development office in the Seattle area. With over $100 million in funding, Oculus VR, which is currently based in Irvine, Calif., has strategically expanded it’s ambitions towards becoming the industry leader in Virtual Reality technology. The expansion to Seattle seems fitting, considering its where many of the other top technology companies reside, such as Microsoft, Amazon, and including Valve Corporation. Recently announced, former Valve Lead VR engineer, Atman Binstock, will be joining the Oculus team as its chief architect. Oculus VR has reportedly been working closely with Valve on some virtual reality developments, so its interesting to see Valve’s former employees slowly make their way officially to the Oculus Team. Oculus VR expansion does not end in Seattle, the company is finalizing the office location in Dallas, Texas to accommodate CTO John Carmack and his team. Carmack, an industry legend best known for his highly acclaimed work on Doom, and the Quake series was one of the first early supporters of the Oculus Rift. He officially left id Software to join Oculus in November of 2013. With the expanding of new offices in strategic regions, and the Oculus Rift proving itself to be an amazing technological achievement, Oculus VR will continue to attract the most brightest and experienced talent in the industry to push the vision forward.